In my career I have undertaken many local SEO campaigns. And more importantly achieved many non-personalised Google search page 1 results for localised search terms. Most recently in the cleaning services industry where utilising an effective URL heirarchy and linking structure on the corporate website the company has many localised page 1 listings and excellent overall search visibility. And through promotion of all web properties linked to the brand the company dominates 8 out of the 10 available positions on Google for their brand name. I have undertaken many local SEO campaigns within my digital marketing career. Usually for small to mid scale businesses in and around the Bournemouth area. They usually differ from a more general national and international SEO campaigns in that the primary objective is to generate visitors to a business at a physical address. Or generate customers within a particular catchment area. Increased visibility in SERPs (search engine result pages) is often a secondary concern. Usually the increased visibility usually comes from local prospects within the proximity of the business anyway. Local SEO is not to be thought of for just mom and pop businesses or one man bands. It is just as important for any business regardless of size. If you are paying rents and rates on business premises where customers are welcome to visit, then you need to let prospects know you are there and open for business. If you have multiple business locations you can promote each one locally to generate visits from prospects. In fact every bricks and mortar location of your business should have a specific local SEO campaign. If this sounds like a lot of work you need not worry. 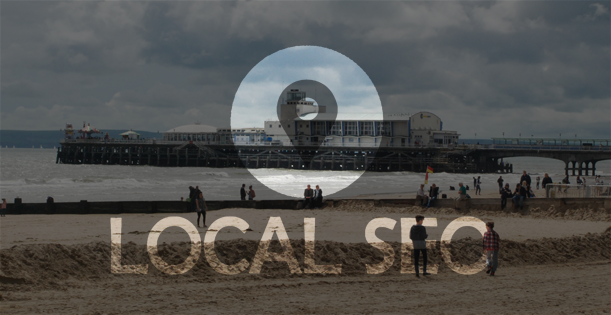 Local SEO digital marketing is certainly not as all encompassing as a general search engine optimisation campaign. This simple, basic and quick local SEO strategy is the mere basics of what any bricks and mortar business, or online business with premises should follow. The trading name, address, phone number, email address and opening times are sometimes also referred to as NAP (name, address, phone). Always ensure this data is the same across all web properties you publish it to. This is so Google can pick this data up and attribute it to your business. In my opinion one company in Bournemouth and Poole that does Local SEO very well is Charles Trent Ltd. Though for the record I can take no credit for their digital marketing. I have never worked with them. Local SEO as Charles Trent Ltd proves does not have to be expensive, complex or time consuming. Take their pick a part website (though they have several websites with different brands). They have simply created a page on this website for each of their three locations, Poole, Nottingham and Rugby. Each page tells you where and how to find them (often repetitively), with location specific unique content for each location page. They have good linking structure to these pages within the Pick a Part website, utilising the keywords Poole, Rugby and Nottingham. Ensured all locations are in Google places and the usual trusted national business directories (example: yelp.co.uk). As well as local business directories (example: idorset.co.uk) and promoted these places on shared company social media accounts. One such local business I did work with was OvenKing Ltd, operating within Bournemouth, Poole and Christchurch, their primary goal was increased SERP visibility for local searches only. Since they offer an oven cleaning service to consumers and businesses they can only offer this service within a certain territory. With this website I had the opportunity to plan the strategy from the ground up. And not to just fit the digital marketing and SEO strategy around a pre-built website. As is often the case in digital marketing. Within this website we undertook local keyword based linking structure strategy. For example the URL hierarchy and link anchor text are heavily weighted to location based keywords. We even went macro geographical, providing unique pages and content for specific suburbs of Bournemouth, Poole and Christchurch. This is Local SEO to a macro geographical level. Which by the way for a un-personalised Google UK search ranks consitantly on SERP 1 for “Ferndown Oven Cleaning”. As do many other localised terms due to the Local SEO strategy employed. Including keywords from the wider local such as Bournemouth or Dorset appended to “Oven Cleaning”. Other specific Local SEO strategies were also employed such as deep linking to these pages from relevant local directories, customer reviews, social media posts and of course following the previously recommended basic local SEO strategy. More recently I am ensuring I utilise structured data mark-up language to help Google better understand the location of a business. Examples of this can be seen on the 4×4 Pay and Play Niche Interest Website I am building (along with a jazzy Google Map API). Reviews and citations for your business also seem to be making more and more of a difference on local SERPs. This is something I intend to explore more over the coming months by incentivising them. I am also integrating the Local SEO campaign and social media campaigns more closely than I ever did previously. Take for example a pub chain, whilst the company has many locations each location is often a local hub. Integrated within the community and with specific local events only applicable to that pub. Why therefore shouldn’t each have its own locally focused social media account (for each pub)? As well as of course a centrally operated corporate account. Whilst this is a simplistic example, many businesses could be more locally focused to engage with local prospects. This may or may not increase Local SEO SERP visibility, but would generate greater awareness of the business. This cannot be achieved with a catch all corporate social media strategy. In fact I would argue stuffy catch all corporate social media accounts are no social strategy at all. From my experience in Bournemouth compared to wider Digital Marketing endeavours local SEO is mostly set up and forget. After the initial efforts you really can concentrate on the wider picture. But you need to keep one eye on progressing trends within the Local SEO industry, and keep up with them. And of course the social media marketing element to local SEO will be ongoing. On the subject of advances I have noticed changes in local SEO particularly unique to Bournemouth, I suspect there are unique twists to local SEO elsewhere too such as London where location keywords may be postcode specific. Think “W1 accountant”? Or other areas of the UK where a foreign language may be prevalent and it feature in search keywords.